Growing annuals in the flower border provides colour from spring to fall, bridging the gaps between perennials. By growing your annuals from seed, you get a head start and save some money – and you’ll also get a lot of pleasure from it. You can start many seeds now through early May indoors in flats or cell packs and many other seeds lend themselves to sowing direct into the garden soil as early as the second week of April. Always check the date on the seed package before you buy. The sell-by date printed on the packet is equally important for seeds as the fresh produce that you purchase from your grocery store, and guarantees freshness and successful germination. On the reverse side of each package, you will find complete growing advice, including the number of days you can expect to maturity and whether to plant in sun or shade (essential information!). Sowing seeds can be as simple or sophisticated as you choose. A sunny window can provide sufficient light or you may opt for supplemental grow lights. Plastic-domed mini greenhouses with cell pack inserts are an excellent alternative to a full sized green house. The humidity dome seals in moisture and encourages germination. Indoor lighting systems, heating coils and self-watering equipment are available if you are looking for a more advanced approach. Be sure to use a professional lightweight potting mix, like ProMix, to promote optimum growth. Seed starting mixes contain sphagnum peat moss and perlite or vermiculite. They have great water retention and drain well. I recommend you purchase a small desk fan while shopping for your seeds and supplies. This will help protect against damping off; a fungal disease that infects young seedlings when there is a lack of air circulation and excessive watering. Place the fan in the same room as your seeding trays to improve air circulation. Plant starter fertilizer from Plant-Prod helps all plants develop a strong root system. It has a high concentration of phosphorous, 10-52-10, for strong and rapid root growth in seedlings. 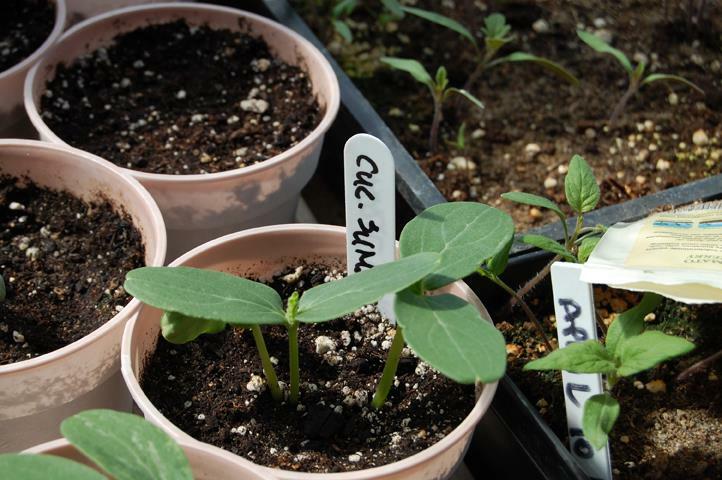 Begin feeding seedlings with starter fertilizer once they have their first set of true leaves. Some plants require up to four months of growth before being planted in the garden. Geraniums are slow-growing and require at least this long to prepare for the outdoors. However, the majority of seeds are ready to be transplanted outdoors in six to 12 weeks from the date they are sown. 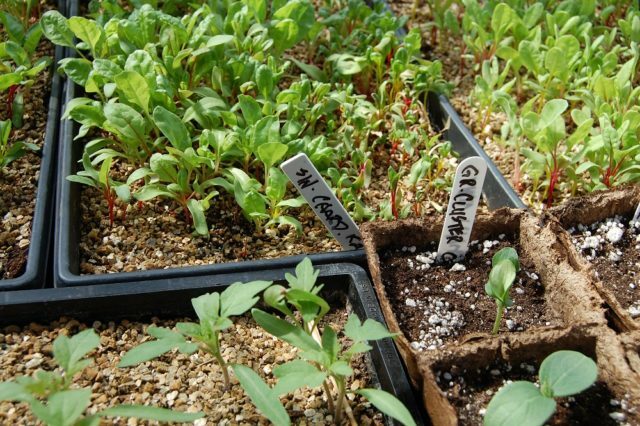 Seed packets will usually recommend when to start seeds indoors. Some of the favourites that you should consider sowing right now include pansies, impatiens, geraniums and petunias (not to mention tuberous begonias, but that is another story). Have fun and remember that odds are a packet of seeds is your best bet, if you are betting on anything! Mark Cullen is an expert gardener, Member of the Order of Canada, author and broadcaster. Get his free monthly newsletter at markcullen.com. Look for his new best seller, The New Canadian Garden’ published by Dundurn Press. Follow him on Twitter @MarkCullen4 and Facebook.